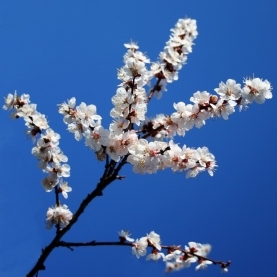 Stillpoint's Apricot flower essence holds the energetic imprint of the apricot blooming flower of the apricot tree. The tree from which the blossoms came, was planted in honor of our beloved poodle, Apricot many years ago in our back garden. This particular flower essence holds the intention of rebirth, honor, deep love and letting go. Releasing and conquering "cancerous thoughts"